Boring and utilitarian music stands, get out of the way! A new standard has arrived. Music comes out of the deepest parts of its metal soul, visible not just in the eye-catching paper holder but also in its tiniest parts, like the little feet and miniscule knobs. 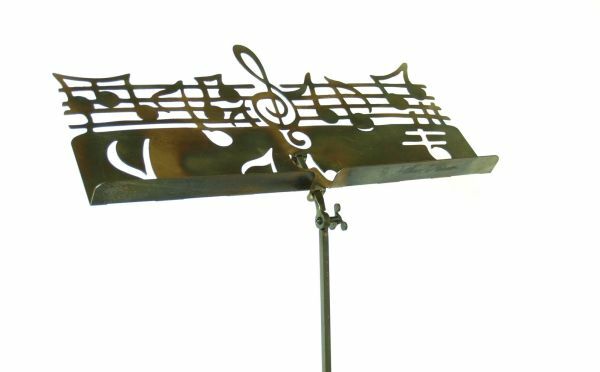 This music stand is made entirely out of steel and is coated in beeswax, an ancient way of conserving metal for indoor usage. The beeswax does not cover up the natural colour of the steel but if desired a colour coating can be applied. The tilted paper holder is available in two version: standard and wide. The standard version is 41 cm (16 in) wide while the wide version has a paper holder of 63 cm (25 in), fitting three wide music sheets next to each other. 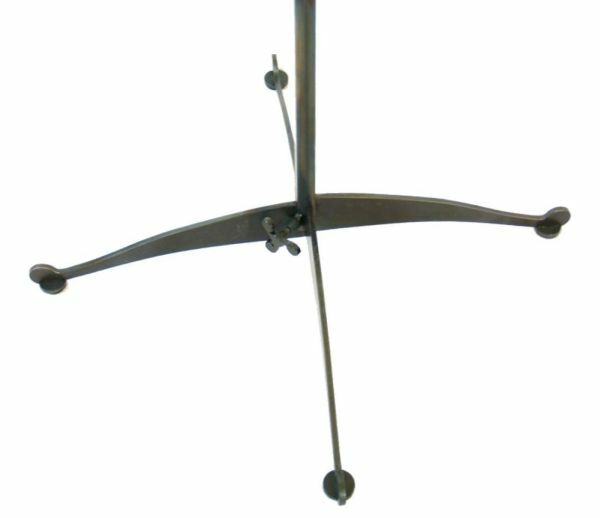 The height of the musical music stand can range from 60 cm (24 in) to 125 cm (49 in) and weighs 3,5 kg (~9 lbs) for the standard and 4,2 kg (~9 lbs) for the wide. 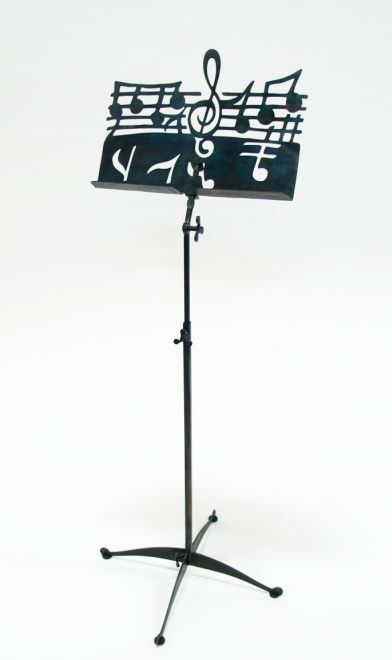 The music stand consists of four parts (legs, a two-piece telescopic rod, and a paper holder) and is put together with four wing nuts. To the attentive reader: yes, I know the treble clef is reversed. The idea is that the audience sees it in the correct position, since the musician covers it with his books. The standard version costs € 190 , – and the wide version € 220 , – , both including VAT .